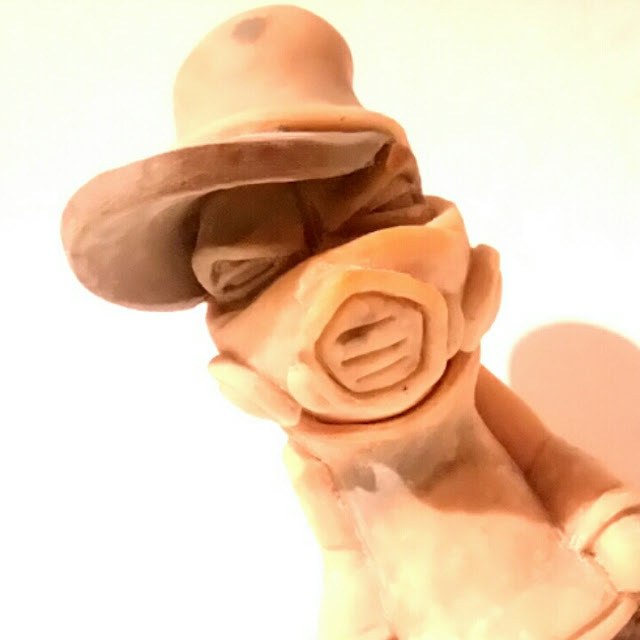 Over the years my Maskedman character has gone through loads of developments, mainly on walls and other flat surfaces.. Having sculpted this guy a few times in the past and finally making the first resin version available around 2 years ago, I thought it was time for another attempt..Now version 2 exists and he's 5 inches tall, can turn his head and there's already 3 of them.. 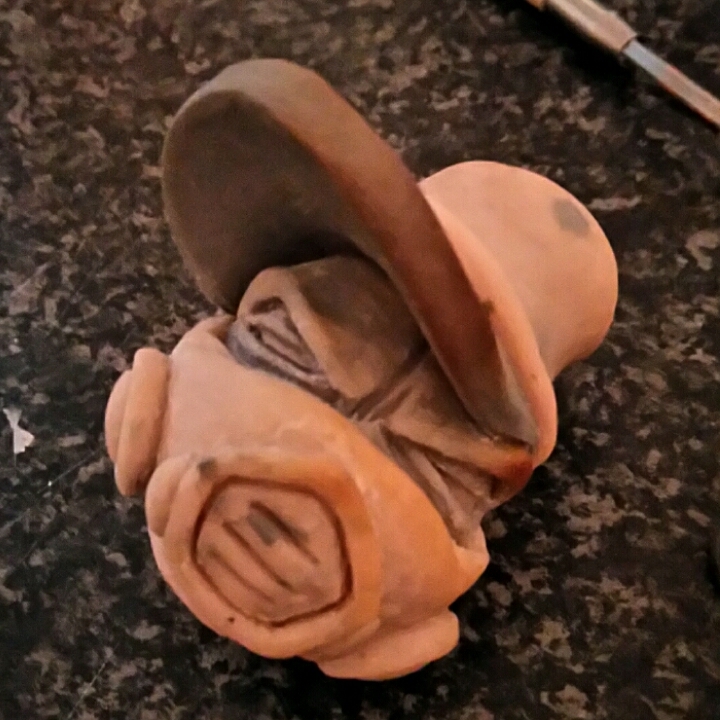 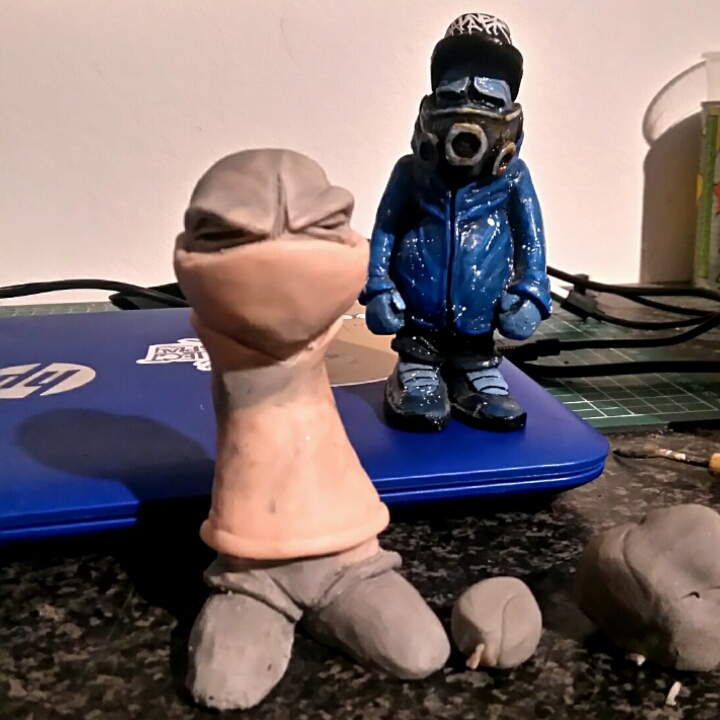 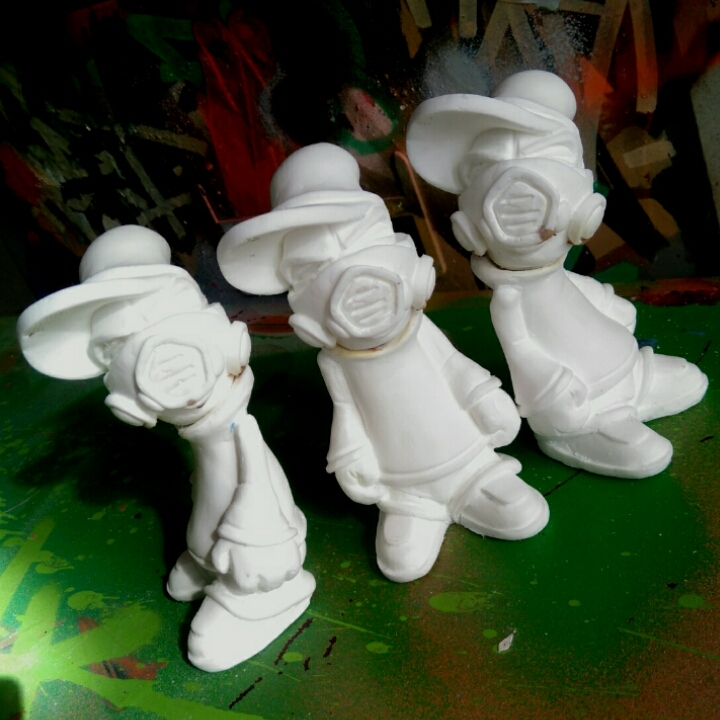 The first three casts came out of the mold with no major problems, and after fixing the magnets into place and filling any small holes with sculpting putty, these guys were ready for sanding and painting.. 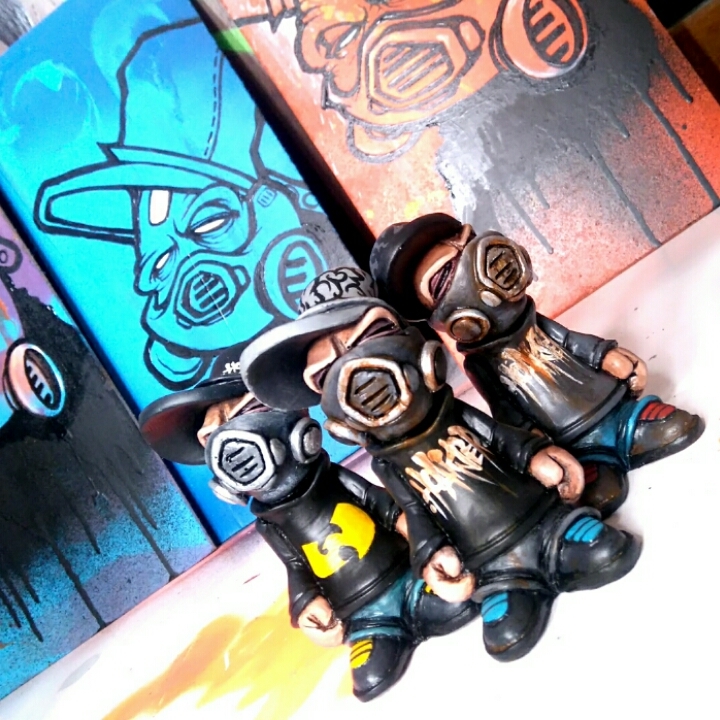 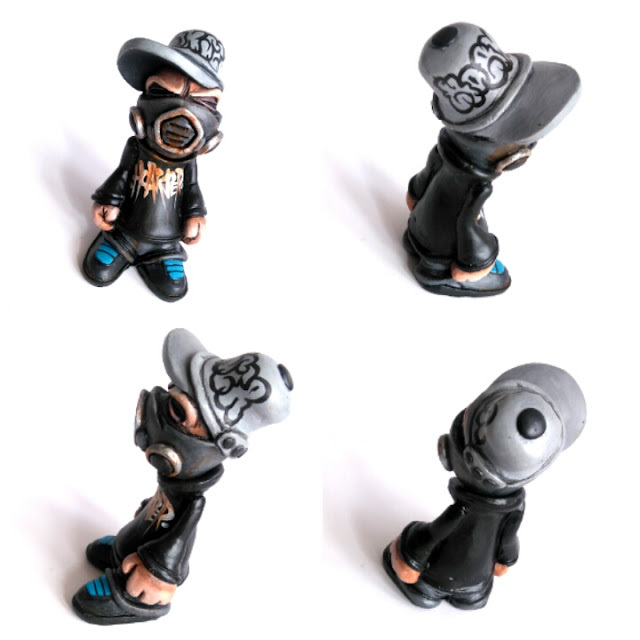 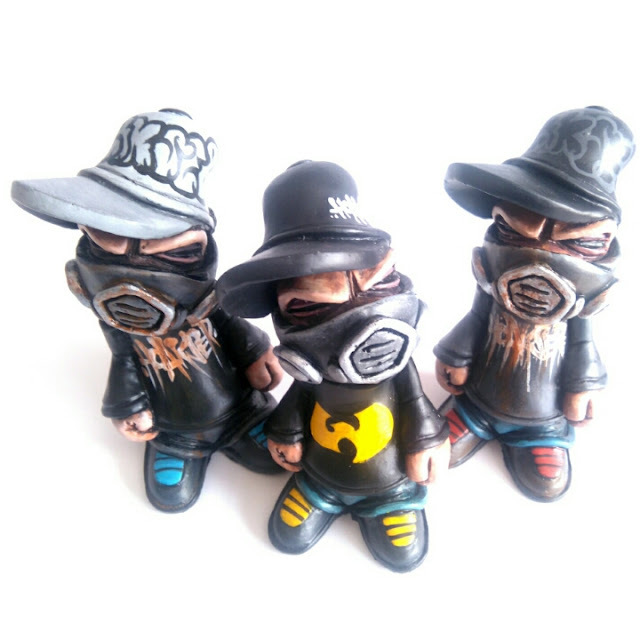 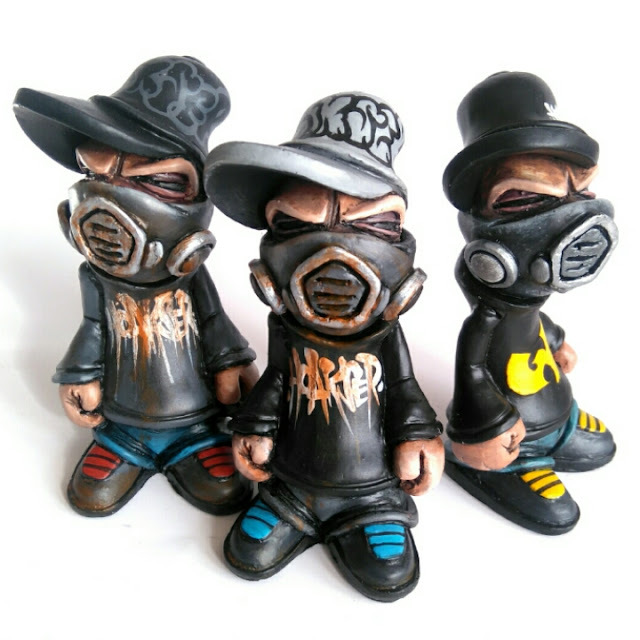 These first three will be in the store on Friday 22nd April for £50.00 each.. Other one of a kind painted versions will be happening over the next few months but no two will ever be the same.. Head over to the store if you'd like to own one of these custom resins and have the Maskedman take up some space in your space!